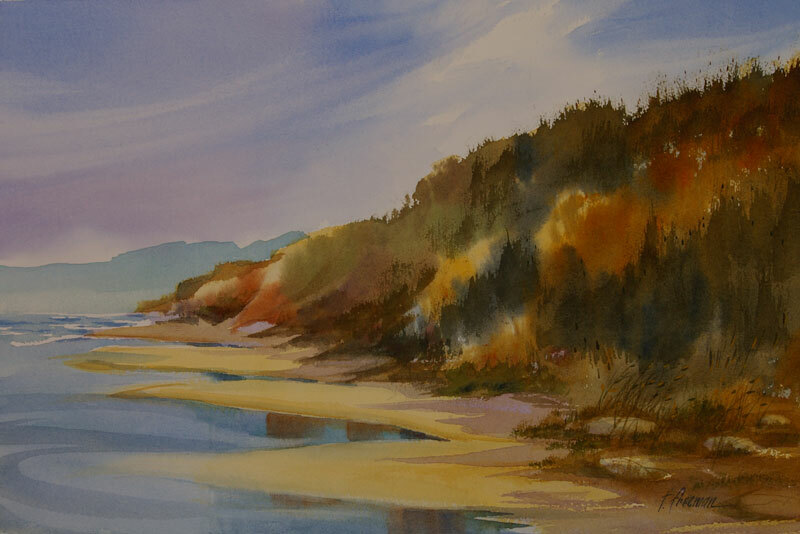 Thomas Freeman Original Watercolor Painting: "Gentle Inroads"
What struck me was the varied colors of the dune vegetation in this scene; I painted it very wet so the colors would blend together. I added the Pacific's inroads into the beach. Finally there's the windswept sky, created by gentle swipes of Kleenex. I can go through a big wad of Kleenex in a single watercolor!